UKAA has been working alongside Carron for many years. We would recommend, and Carron would agree, that the best way to supply custom length cast iron radiators is to build them up to 20 sections for the delivery. We are more than happy to provide customers with custom length radiators that are above 20 sections. These remaining sections will just need to be built on site. Building these extra sections for your custom radiator is easy, UKAA can provide the necessary tools to complete the build of your custom length radiators on site. Your plumber will then pressure test the radiator before plumbing in. 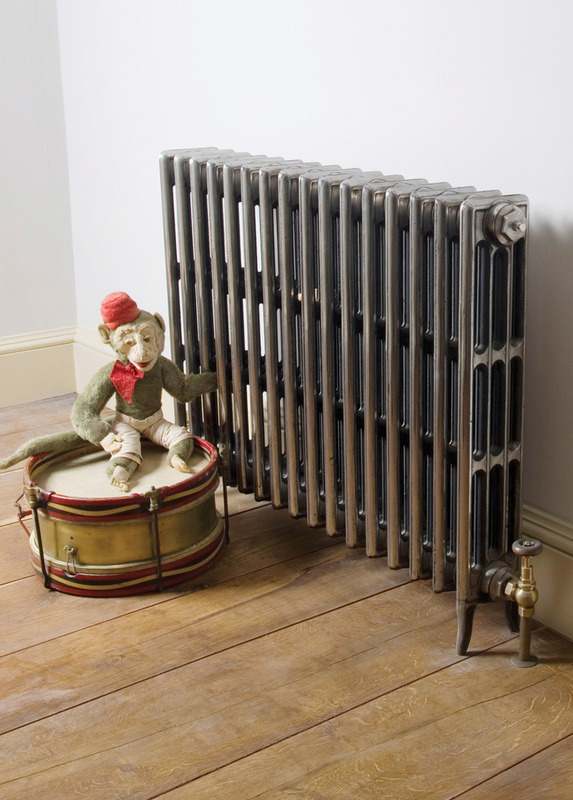 With a long cast iron radiator, there should be as little movement as possible when built up; a typical radiator can weigh around 10kg per section. For example, a 33 section Victorian 625mm long radiator weighs 333kg (over 1/3 of a ton) and is nearly 2 meters long. This is extremely difficult to manoeuvre off the pallet and into a property, and there is also the possibility when moving long heavy radiators that it can cause stress to the joints. Smaller radiators are physically easier to move around the property, through doorways and upstairs. 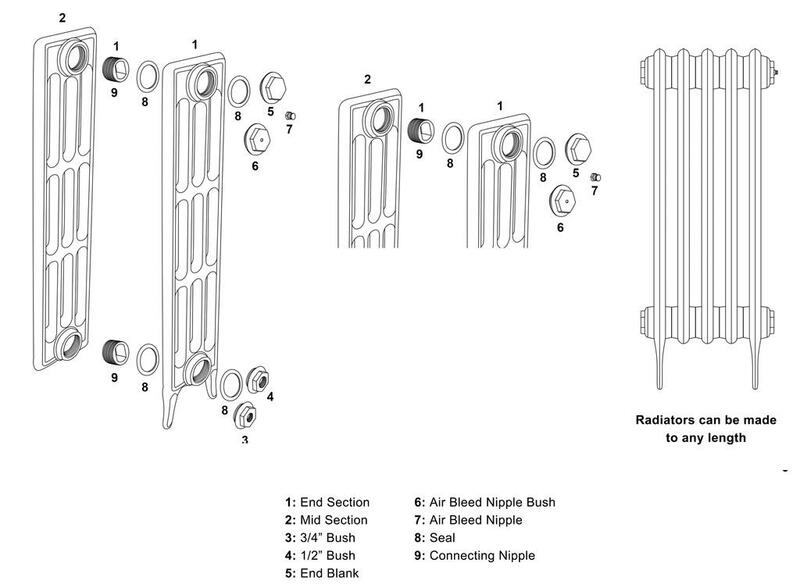 Once on site, your part build custom radiator will be positioned near to where it will be fitted. Your Plumber or installer will then follow the radiator pattern adding the extra sections, one section at a time. UKAA and Carron will supply you with a leg pattern and correct amount of middle sections and leg sections to make your large cast iron radiator look pleasing to the eye, but it will also ensure even distribution of the weight of the long radiator. To view our full range visit our cast iron radiators page.